If it's fall, it's time for pumpkin pie. This recipe just fills the house with wonderful aromas that say Thanksgiving is just around the corner. I make my pies using my mom's pie crust recipe. She adds a bit of cream cheese in the recipe and it makes an incredibly flaky crust. For a little extra flair, I've also taken a second crust and cut falls leaves, using a special pastry cutter, and decorated the top of the pie just as it comes from the oven. This is an optional step but it certainly gives the pie a festive look. 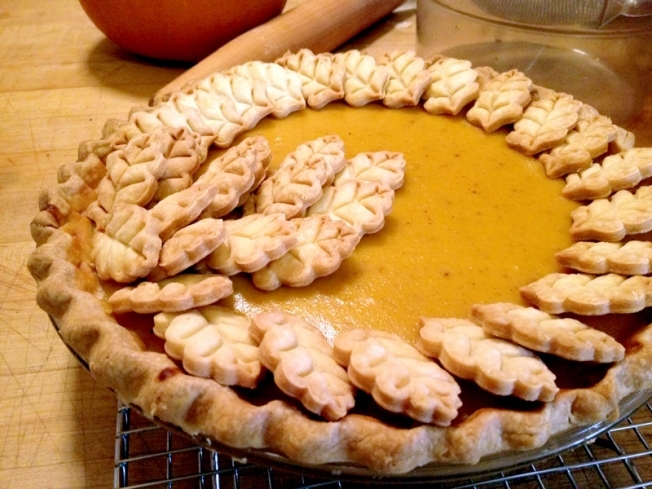 Wayne shows you how to make his mom's pumpkin pie recipe with a special ingredient in the crust. Place pie in the oven and bake for 15 minutes. Reduce heat to 350 degrees F and bake for an additional 50-60 minutes or until filling is set. Carefully remove the aluminum for the last 20 minutes of the baking process so crust can brown. Remove pie from oven and allow to cool. If you have any comments or questions, please send me an email at wayne@waynesweekend.com or follow me on Twitter or Facebook. 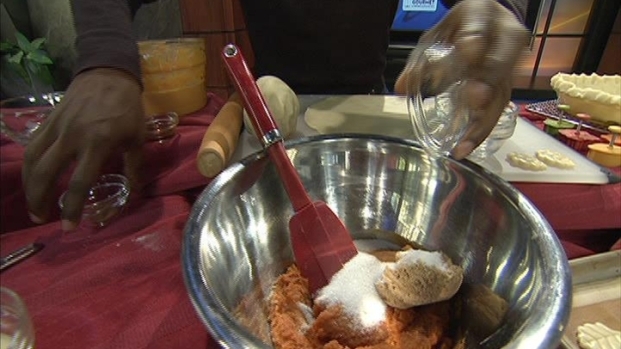 Pie cutters similar to the ones used in this segment are available online at Williams-Sonoma. Additional versions are available at this online retailer.